Are you suffering from Car Accident Injury in Talahi, Georgia? If you were injured in an accident or suffering from a pain condition, you will need to contact a professional Chiropractor Near Me in Talahi, GA. When you are involved in an accident, it's crucial for your health and wellness to contact an experienced chiropractor as soon as possible. The Doctors at Arrowhead Clinic have been helping accident victims with their recovery for over 30 years. All of our chiropractors have extensive training and experience when it comes to helping car accident injury victims. Our Talahi Island Chiropractors offer a free consultation to see how we can best assist with each individual's recovery. If you are suffering from an injury or pain condition, click the link below to schedule a free consultation with our Chiropractors in Talahi Island, GA today. Arrowhead Clinic provides Chiropractic Care that is well suited for car accident injury victims. Our approach to treatment and care is gentle, safe and natural. It's our goal to help the victims of car accidents return to normal function and daily life as quickly as possible. We have had many patients who have reported a drastic reduction in pain and inflammation after getting chiropractic adjustments. We help our patients in many ways, but we believe that one of the most important ways is by NOT prescribing addictive pain medications. We believe that these medications just mask pain symptoms and do not actually fix the problem. We instead use specific spinal adjustments and manipulations that are designed to realign the spine and promote the bodies natural healing process. We make it our mission to find the underlying cause of each patients injury or pain condition so we can treat it at the source. Our clinic near Talahi Island is designed specifically to help car accident victims with their recovery. Being involved in a Car Accident can often cause delayed symptoms, this means you may not realize you have been injured until hours or even days after the accident occurs. 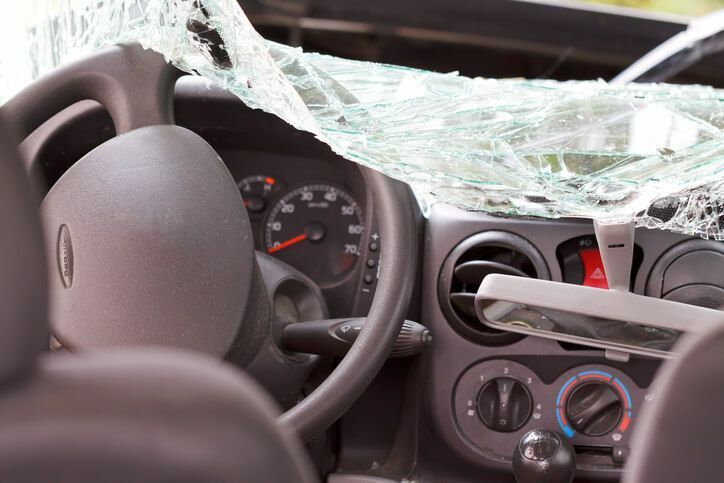 Soft Tissue Injuries will often take time to present symptoms, and whiplash is one of the most common soft tissue injuries to occur in a car accident. Many people who suffer from a Whiplash injury will describe it as pain in the neck, however, it can also affect any neural network, including the extremities all the way down the spine. Car Accident victims who are suffer from these symptoms will often experience reduced quality of life and everyday tasks can become extremely difficult to complete. With Chiropractic Care you can experience pain relief that allows you to return to your normal every day activities. What Should You Expect During Your First Visit At Our Talahi Island Clinic? To prepare for you chiropractic exam, our doctors will ask you a series of questions about your injury and past medical history. Does it come and go, or is it continual? Describe the pain-is it sharp, dull, burning, or throbbing? Once the doctor has an understanding of your medical history, they will conduct a precise examination that will normally include comprehensive testing, and specific orthopedic and neurological testing. Based on the exam results, diagnostic studies are helpful in identifying structural abnormalities to more accurately diagnose the pain condition and provide evidence to the insurance company about why chiropractic care is important after a car accident. Once your Chiropractor reviews your exam findings, they will come up with a personalized treatment plan that is tailored specifically to an individuals recovery. Short-term goals for our accident patients include lessening the pain and restoring normal joint function and muscle balance. Long-term goals for our patients include reacquiring functional independence and tolerance to normal every day activities. How Can Chiropractic Care Help Car Accident Injury Victims? Our Talahi Chiropractors use specialized adjustments, also known as spinal manipulation, to correct the structural alignment of the spine and help improve the body's physical function. Chiropractors use their hands or a small instrument to apply a controlled, sudden force to a spinal joint. 1. Flexion-distraction technique- is a gentle, hands-on spinal-manipulation that involves a pumping action on the intervertebral disc instead of direct force. 2. Instrument-assisted manipulation-uses a hand-held instrument to allow your chiropractor to apply force without thrusting into the spine. 3. Specific spinal manipulation-helps restore joint movement using a gentle thrusting technique. In addition to easing your pain, chiropractic treatment is also known for boosting the immune system, easing dozens of diseases, increasing energy, and promoting health and fitness levels. After you become injured in a car crash, it's important to seek immediate treatment from an experienced chiropractor. The exceptional doctors at Arrowhead Clinic have the training and skills to help with accident victims recovery. Each one of our doctors is dedicated to helping accident victims recover as quickly and optimally as possible. Do not put off chiropractic care after an accident, click below to schedule a free consultation with our Top Talahi Island Chiropractors today. Introduced to chiropractic after dealing with sports-related injuries, Dr. Justin Zellweger knows the benefits of chiropractic care first hand. Dr. Zellweger also has taken advanced training in pediatrics and pregnancy. He is a true believer that chiropractic care is something that someone of any age can greatly benefit from. He believes that chiropractic care should be tailored to you as an individual and provides a variety of techniques and therapies that best suits your own personal comfort levels. wonderful treatments, quickly fixed problem and set me up with exercises that maintained a good condition.